When making your own diet to lose weight, it is important to include foods that are the lowest in calories. 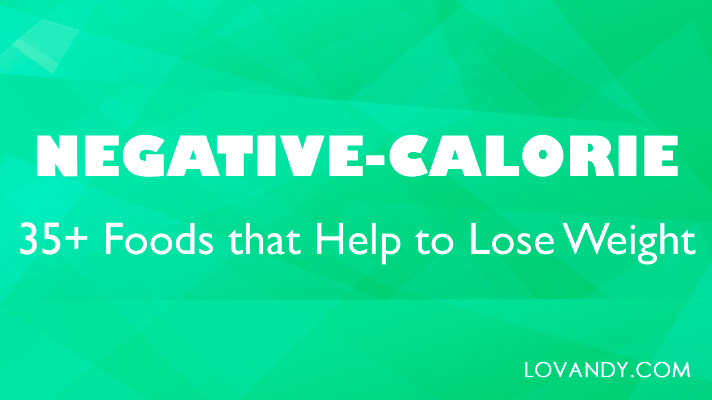 So, what can be lower than negative-calorie food? Let us learn more about such food and decide which products are the best in this category. Negative-calorie foods are products that require more energy to be digested than they provide. This means your body should spend more calories to digest the product than there are in its content. Even though there is no actual scientific evidence on any food being negative-calorie, it does help lose weight a lot. You cannot certainly put a product in the list of negative-calorie foods, as the amount of energy, needed to digest it, depends on your weight, health and genetics. However, if it is in the list, then it is very healthy and really low in calories. It does not matter if you have lost 5 calories by eating anything or gained them, as long as you have not eaten much, but received the necessary amount of nutrients. Let us name top 10 the best negative-calorie foods. Notice that anything in this list is well known as a beneficial product that is full of vitamins. Of course, everything mentioned is a fruit or a vegetable. Mostly plants are negative-calorie. Some of these foods may not contain the lowest amount of calories, but we have made this top according to the overall effect of eating these. Lettuce contains only 15 calories per 100 g. This means it cannot lead to weight gain at all. Moreover, this plant helps to lose it easily. Lettuce does not have a pronounced taste, so it does not stimulate appetite. There are also many vitamins in this vegetable, such as B, C and E. Therefore, you can eat it as is to prevent any weight gain. It is also a good idea to add lettuce to some salads. Cucumbers are also negative-calorie with the amount of 15 kcal per 100 g of weight. It is mostly because almost 98% of a cucumber is a pure water, which of course does not lead to weight gain. Moreover, cucumbers help normalize the digestive process; and they contain many vitamins as well. Celery is almost not different to lettuce when talking about weight loss. There are 16 calories in this plant, but much more minerals. Celery is also good for its ability to calm your nerves. In fact, being calm is very important when losing weight, as stresses make you hungry. Therefore, both celery and lettuce are nice additives for any vegetable salad. Even though there are slightly more calories in cabbages (25 kcal per 100 g), this vegetable is also very useful for weight loss. In addition to a low amount of carbs and no fats, there is a tartronic acid in the composition of cabbage. This substance slows down the transformation of carbohydrates into fat. This way you have more time to spend the energy until it is stored. This vegetable is a nice metabolism stimulator. It enhances the work of thyroid gland due to a high iodine concentration. Therefore, all the processes in your body go as they are meant to. 100 g of broccoli contains only 34 calories, which makes them a negative-calorie product. Carrots are full of dietary fiber. This substance is very useful for your intestines, as it cleanses it, removing any toxins. Even though carrots are pretty sweet, they contain no more than 41 calories. This makes them a nice food for a diet. You can add this vegetable to almost any meal. However, it is very tasty as is too. Watermelon is very useful when trying to lose weight. The main reason is similar to cucumbers: there is a lot of water in this berry. 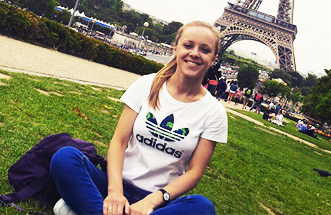 It is also a negative-calorie food with the amount of 30 kcal. Watermelon cleanses your stomach and intestines with its juice, so the digestive system works properly. That is very important in any diet. Another product, full of water, is grapefruit (more than 90%). This fruit is a negative-calorie – only 32 kcal per 100 g. With all the vitamins and minerals in its content, grapefruit stimulates metabolism, so you lose weight easier and faster. It also improves the work of gastrointestinal tract, activates the excretion of cholesterol and slags from the body. Pineapples contain 50 calories per 100 g, which is more than in previous products. However, such amount is still not big, especially comparing to other common foods. There is a lot of water in a pineapple, which is good for weight loss, as we have discussed. Moreover, there is a unique substance in this fruit called bromelain. It improves your digestion, therefore helping to lose weight even faster. Apples are filled with vitamins and useful microelements. They also contain a lot of fiber, which is good for digestion. These factors make apples really useful for losing weight, as it is always important to get enough vitamins. This fruit contains 52 calories, so it is a negative-calories product. Even though no foods are scientifically proven to be negative-calorie, everything we have mentioned does help you lose weight. The ability of any product to be beneficial for weight loss is not only in calorie content, but also in useful substances it contains. Therefore, consider including all these fruits and vegetables to your diet.